Reusable menses pads are good for the environment and an in demand source of income generation for tailors in our villages. 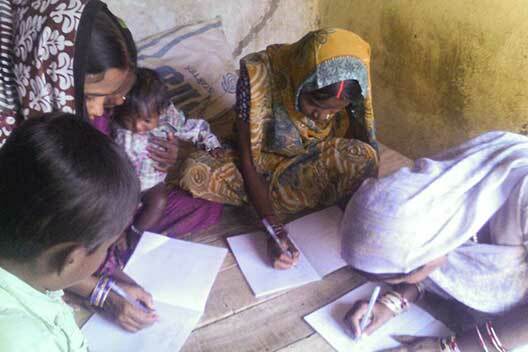 Adult literacy has started in Ratanpur, Bihar. The first lesson was to teach women from the local self help group how to sign their names so their SHG can apply for loans. 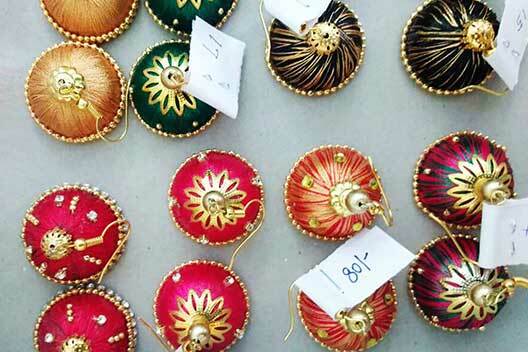 The making of beautiful earrings has brought happiness and successful sales to village women from Sadivayil, Tamil Nadu. Access to the village of Devgain in Jharkhand is now much easier, especially for rainy season. 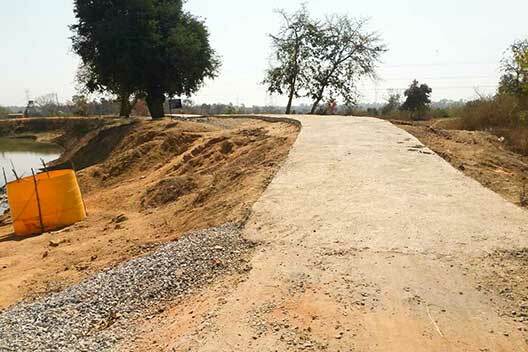 Construction of a new road is complete. We should try our best to relieve the suffering of others in whatever way we can. 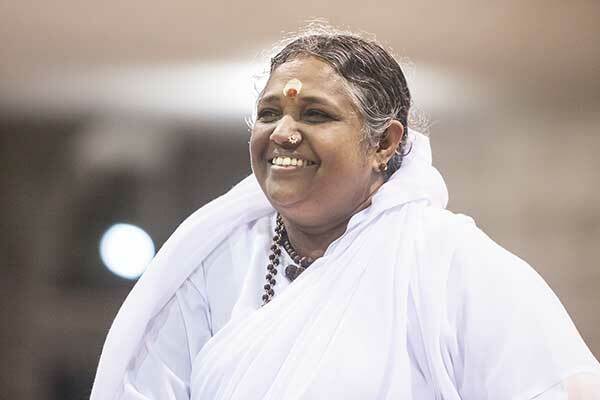 What makes Amma happy, is to see her children helping others to feel happy.